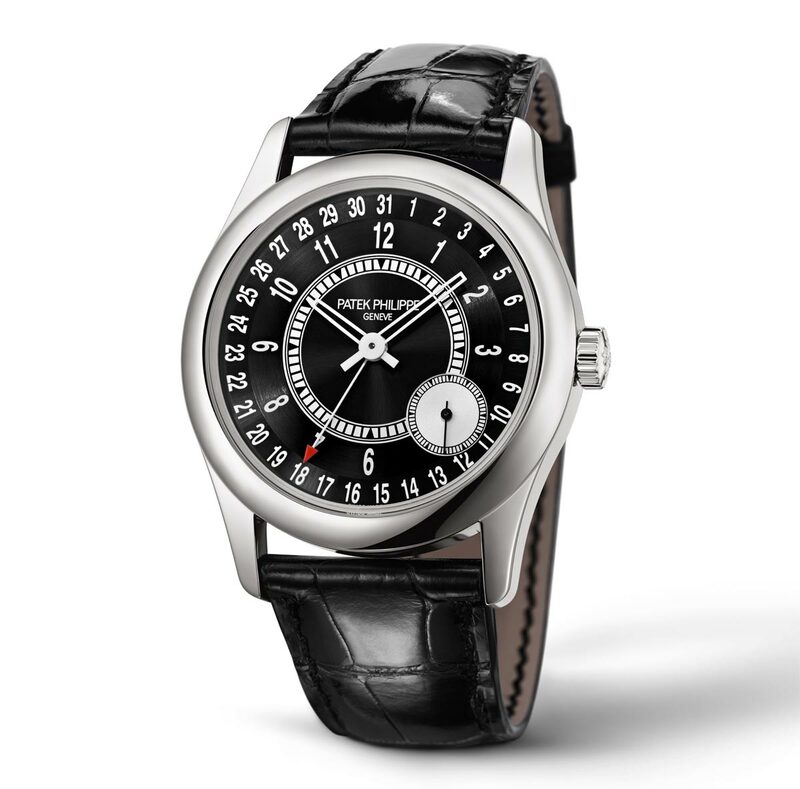 Presented at Baselworld 2017, the new Patek Philippe Calatrava Ref. 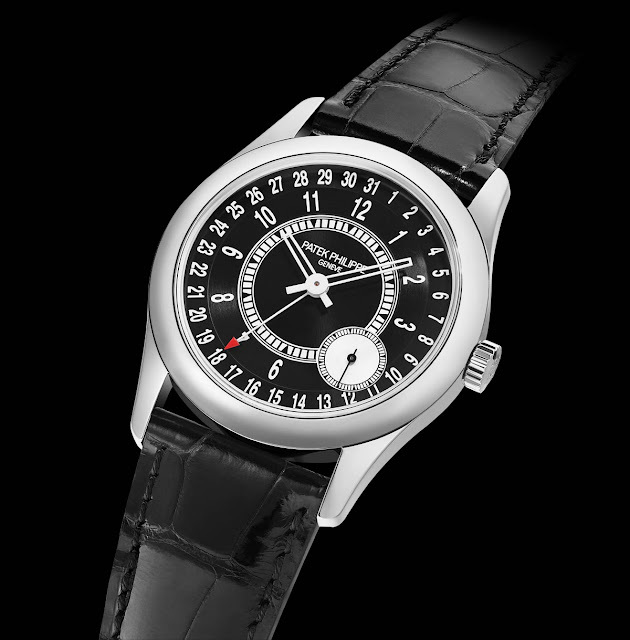 6006G in white gold replaces the watches of the 6000 series launched in 2005. The classic round case was enlarged from 37 mm to 39 mm, thus offering more space for the dial with Arabic numerals, a date scale on the outermost periphery, and a seconds subdial in an asymmetric position between 4 and 5 o'clock. 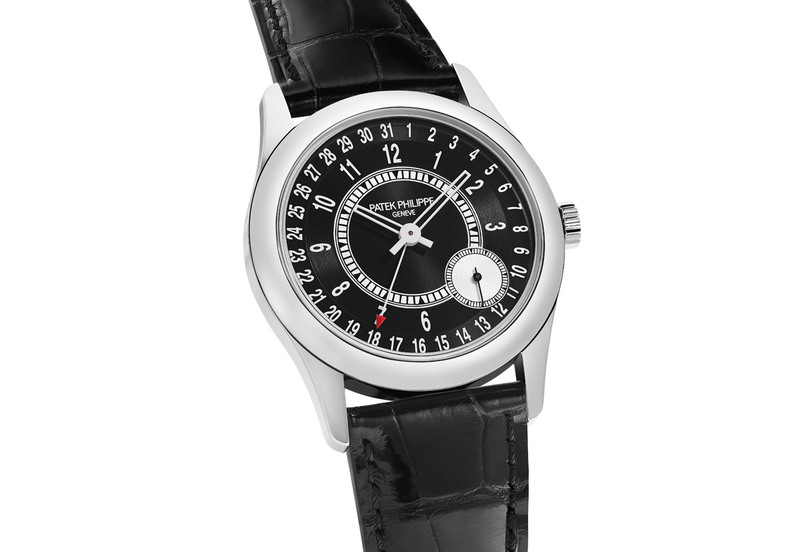 The architecture of the dial maintains the two-tone graphic concept with only slight changes. 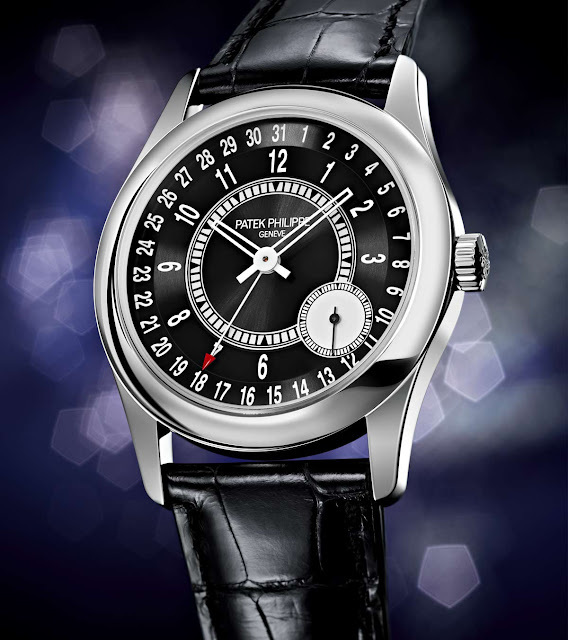 The centre is black and glistens with its fine sunburst finish, while the silvery minute circle is guilloched and printed with black minute and five-minute markers. The outer edge of the dial is contiguously ebony black but structured in two different textures: the date circle has a sunburst pattern, the hour circle is guilloched. 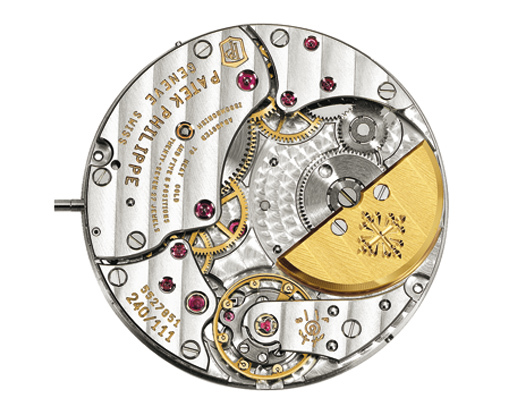 Longitudinally pierced, the white lacquered baton-style hour and minute hands hovering above the dial are much wider than those used for 6000 series. 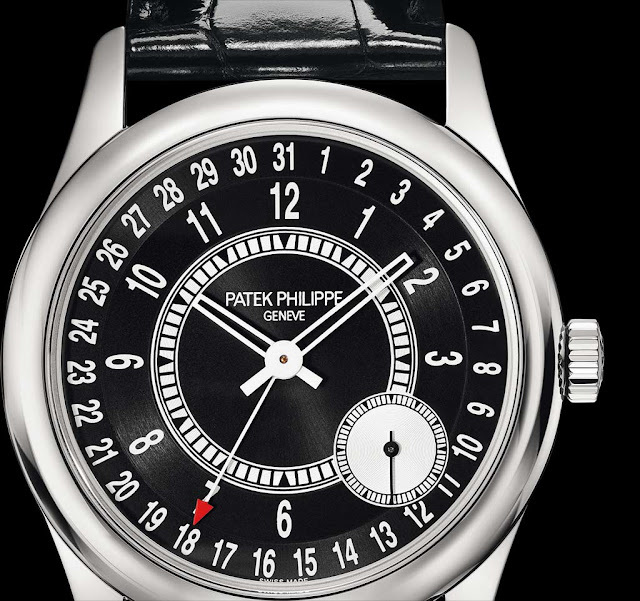 Additionally, the date hand is now tipped with a red-lacquered arrow that precisely points at the date numeral. It replaces the former lunar crescent. 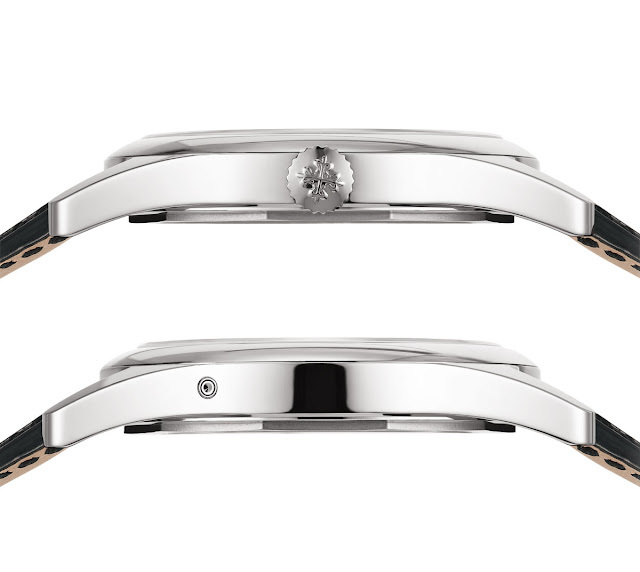 Beating at 21,600 vibrations per hour (3 Hz), the ultra-thin self-winding anniversary calibre 240 PS C movement is visible through the sapphire-crystal case back that reveals the off-centre 22K gold minirotor integrated in the movement. The autonomy of the movement is approximately 48 hours.